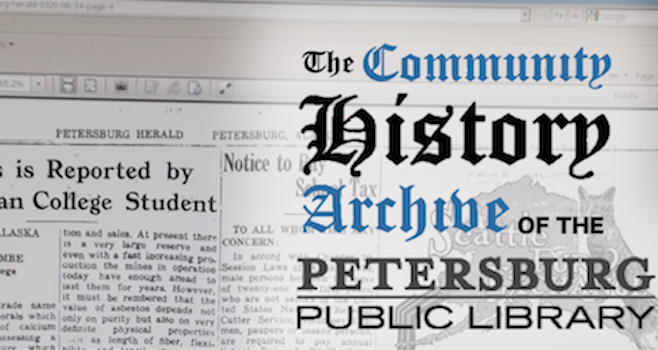 Looking for the first draft of Petersburg’s history just got a lot easier. The Public Library is now storing local newspapers online. So far, the searchable archive includes papers from the Progressive in 1913 through to the Petersburg Press in 1931. By this fall, the archive should be complete up to a year within the current paper. Anyone can access the resource for free from their home computer. We thank you for your continued support for this (and all of the other library) projects. Interested in becoming a friend? 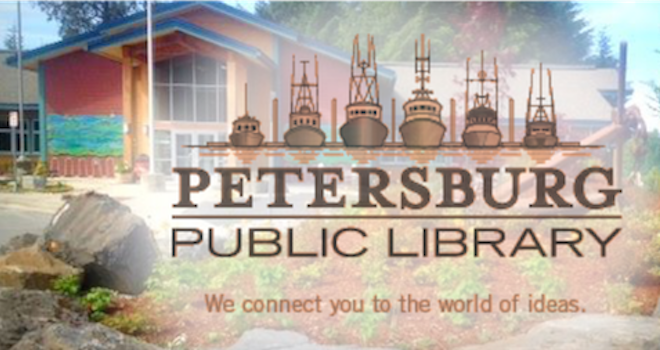 The Friends of Petersburg's Libraries are a 501(c)(3)non-profit organization whose mission is to support and enhance the services and programs of Petersburg libraries, both school and public, and to promote library use and enjoyment by the people in the community of Petersburg. Friends can be 'silent' members or help out with any of the activities listed below. Monthly Book Sale Lend a hand with our monthly book sale, volunteers are needed! Fundraising Every year we give grants large and small to local libraries. We're a big supporter of the public library's annual Summer Reading Challenge, Curiosity Creates and other literacy activities. We also purchase the holiday lighting for the public library - making it a glorious showpiece in the dark days of Petersburg's winter. Volunteering for help with special events From the grand opening of the new library to the annual Holiday Literary, the Friends provide refreshments and essential manpower to make these events possible. Airport and ferry book shelves Time flies when you're reading. Check out the shelves at our local transportation hubs. Take a book on your travels or leave books that you think others might enjoy. On January 1, 1932 the library first opened in Petersburg in the Telephone Exchange Building. Yearly membership were sold for one dollar each. Our founding members include: Delia Sarff, Laura Johnson, Bert Cornelius and Myrtle Cornelius. Librarians who have served the residents of Petersburg include Delia Sarff, Clara Hannah, Christine Fryer, Joyce Jenkins (Schultz), Chris Weiss and Tara Alcock. Tlingit Indians used the area as a summer fish camp for hundreds of years prior to the arrival of European immigrants in the late 1800’s. Petersburg is named after Peter Buschmann, a Norwegian immigrant, who built a sawmill and cannery on northern Mitkof Island. The Buschmann family's homestead grew into the community of Petersburg. Many of the early families who settled here, and whose descendents continue to live here, are of Scandinavian descent. As a result, Petersburg earned the nickname of ‘Alaska’s Little Norway’. Residents continue many of the community’s Nordic traditions, including celebrating Syttende Mai (the 17th of May), Norway’s Constitution Day. Thanks to the proximity to LeConte Glacier, Petersburg had a year round supply of ice for shipping fish south, and the community quickly grew into a prosperous fishing port. Peter Bushmann's original cannery was later purchased by Pacific American Fisheries, one of the largest processors in its day. In the mid 1960's, the seafood industry was in decline and PAF decided to close down it's Petersburg plant. A group of local fishermen pooled their resources, purchased the plant, and founded Petersburg Fisheries, Inc. In 1977, the company name was changed to Icicle Seafoods. Icicle Seafoods is one of the largest seafood processing companies in Alaska and operates plants throughout the state, including Petersburg. In 2017, Icicle Seafoods was purchased by Cooke Aquaculture, who continues to operate the Petersburg plant. The Petersburg Borough is homeport to one of most productive and diverse commercial fishing fleets in Alaska, and location of three major seafood processing plants and several small custom processors. On average, over 70 million pounds of fish and shellfish crosses the dock in Petersburg each year, making Petersburg one of the top ports in the country.